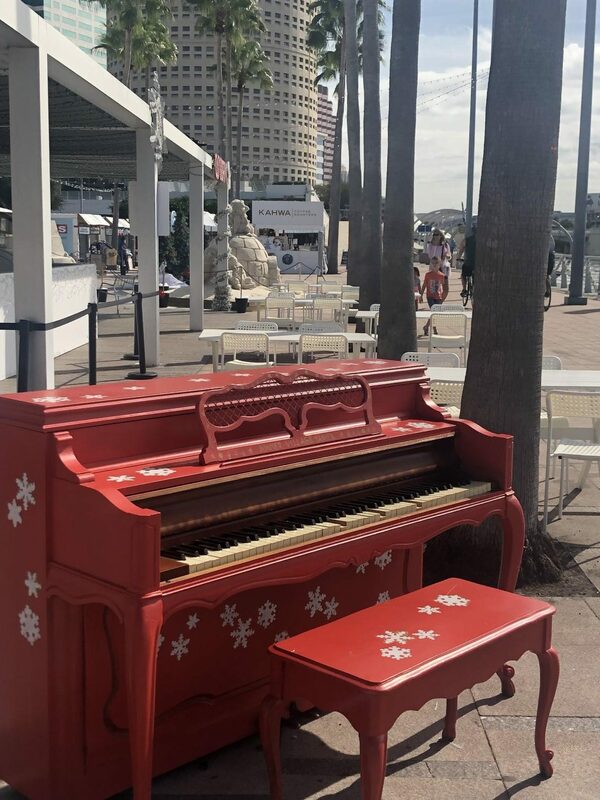 With the holidays fast approaching, Tampa bay will play host to many season themed events. One of these events is the Winter Village at Curtis Hixon Park, hosted by the Tampa Bay Lightning. From Nov. 16 through Jan. 5, the popular riverfront spot is transformed into a Winter Wonderland. Lights are strung everywhere, and the landscape is dotted with Christmas trees, snowflakes, sand sculptures, and other festive décor. The main feature of the Village is the ice skating rink. Located underneath a tent donated by the Tampa Bay Buccaneers Foundation, it is downtown Tampa’s only outdoor rink. Ice skates are available for rental, which is included in the $14 ice skating ticket, which gives you 90 minutes of time on the ice. On select Sundays, attendees can enjoy the Winter Village Express. According to wintervillage.com, The TECO Line Streetcar has partnered with the Tampa Downtown Partnership to bring you a themed ride aboard the Winter Village Express. Riders can board the Express at Whiting Station or Centro Ybor on select Sundays to enjoy treats, music, and activities during the non-stop ride. While the streetcar is currently free, there will be a 5 dollar fee to take the themed ride. Curtis Hixon will also be holding other holiday themed events on certain days alongside the Winter Village. The annual City of Tampa tree lighting will be held there on Nov. 30. After the Downtown Christmas parade on Dec. 1, Santa Fest will be held at the park, a day full of holiday entertainment, and of course, Santa Claus. And finally, on Dec. 22 the Lighted Boat Parade will pass by Curtis Hixon on its route. The Winter Village will be open every night from 4-9 p.m. with the exception of Thanksgiving, when it will be closed, Christmas Eve when it will be open until 6 p.m., and Christmas day when it will be open until 10 p.m. Expanded hours are listed for school holidays.